Parsons faculty Jen Liu and alumna Leslie Wayne has been awarded a 2017 Guggenheim Fellowship! Jen Liu lives in Brooklyn. She studied at the California Institute of the Arts and at De Ateliers in Amsterdam. She makes drawings and paintings on paper, videos and installations that draw on diverse histories to construct fictions that say something about our contemporary society. In her large, seductive watercolors you can find imagery from art historical styles such as modernism and constructivism. Her practice also includes film, installations and performance. Wayne is a painter and an occasional writer and curator. 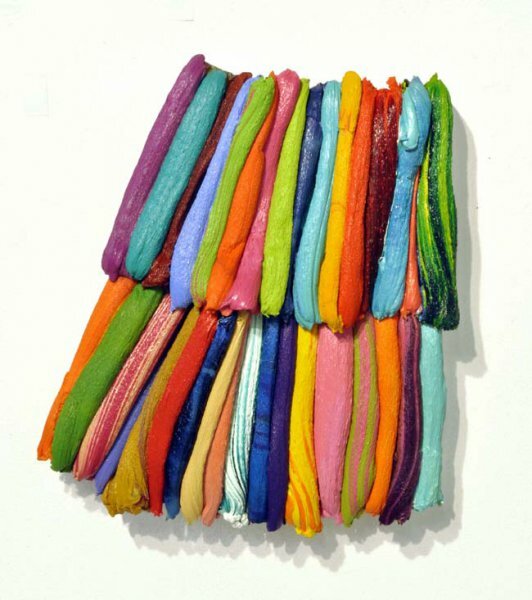 She is represented by Jack Shainman Gallery and lives and works in New York City. Her signature works are known for their highly dimensional surfaces of oil paint, forcing a re-examination of the term painting in the traditional sense. They often take the literal form of draped cloth, or like readymades, stand in for the objects they represent. In her new body of abstract work entitled Free Experience, Wayne reaches for, in her words, “that seductive dislocation” by exploring the range of possibilities for the representation of an illusion in as many different ways as possible, from tromp-l’oeil to verisimiltiude, while still remaining undeniably within the confines of a painting. Join us in congratulating Jen and Leslie on this prestigious honor!